A range of heavy duty pile cage spacers providing 50 or 75mm of concrete cover. The products accommodate bar sizes from 6-20mm and are usable in sub zero temperatures. A range of heavy duty spacers providing concrete cover from 20-50mm, accommodating bars in the range of 6-20mm diameter. A range of heavy duty spacers offering multi directional concrete cover from 25-50mm, accommodating bars in the range of 6-20mm diameter. 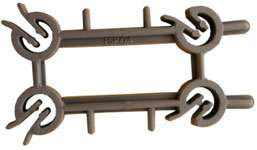 A range of fence post spacers for slotted and plain posts. This product enables fast accurate spacing of reinforcing bars ranging from 4-8mm diameter. 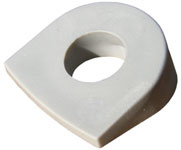 This light weight dual cover spacer has a large circular base for greater stability and resistance to puncturing membranes. The unique clip and grip feature also enables this product to be used horizontally. This heavy duty dual cover spacer has a large square base for greater stability and resistance to puncturing membranes. The unique bar entry feature enables this product to rotate when in use. A range of general purpose spacers offering multi-directional concrete cover from 10-25mm, accommodating bars in the range of 3-12mm diameter. 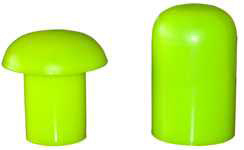 A range of highly visible heavy duty safety caps designed to help prevent injury from protruding metalwork. The products accommodate bar sizes from 6-40mm and are usable in sub zero temperatures. Plastic packing plates used to align heavy section steel and pre-cast concrete sections. Manufactured from high strength, impact modified plastic; they are able to withstand high loads without distortion or breakage and are resistant to corrosion. Different spacing may be achieved by mixing products across the range. 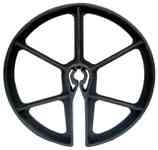 The wedge washer is designed to correct a 20 degree taper angle. It enables angled concrete sections to be bolted together using an 8mm bolt. 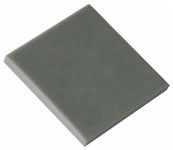 This light weight 3 Clip Gravel Board Spacer is made from Nylon 6 and is a cost-effective alternative to metal. For use in concrete fencing gravel board they absorb shock and vibration. Available in 278mm lengths in grey.